New Christian Book: How To Proselytize Coworkers - Joe.My.God. Despite mounting pressures for Christians to keep quiet about their faith, a new book by Pastor Steve Reynolds and David L. Winters recommend just the opposite. “At this point in our nation’s history, every institution needs strong leadership to survive and thrive,” Winters said. “There are many forces seeking to tear down authority and keep faith out of the marketplace. 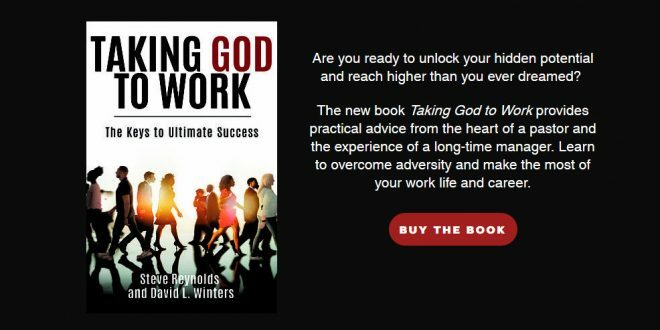 Christianity and the Bible are all about showing leadership under fire.” In their new book Taking God to Work: The Keys to Ultimate Success, Reynolds and Winters share biblical principles about lasting success.